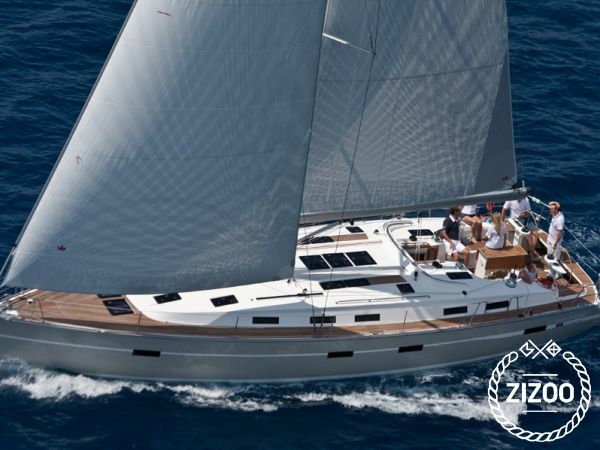 A week or so on Bavaria 50 will meet everyone's expectations in terms of comfort and safety. This solid built and elegant yacht from 2012 is accessed from a wide transom area also serving as a swim deck, taking you to a large cockpit, your holiday living room. The saloon is laid out to accommodate a crowd, and she sleeps up to 12. All aboard? Great, now before setting sail, take a couple of hours to explore your base Trogir - a UNESCO World Heritage Site. Drop by Split to visit Diocletian's Palace, islands Vis and Bisevo, famous for its Blue Grotto. Bear in mind that the sun allows you to experience that crazy blue colour only by noon. For party enthusiasts, Hvar is the place to go, with Pakleni Islands just across, for some peace and quiet after a long night. Whichever route you take in the area, Adriatic Charter is not too far away, should you need any assistance. They like to know their guests are taken good care of, just as their boats.